At Plymouth Argyle FC there's lots of opportunity to unleash your talents, kick-start your career and watch English League football with special offers and discount deals. 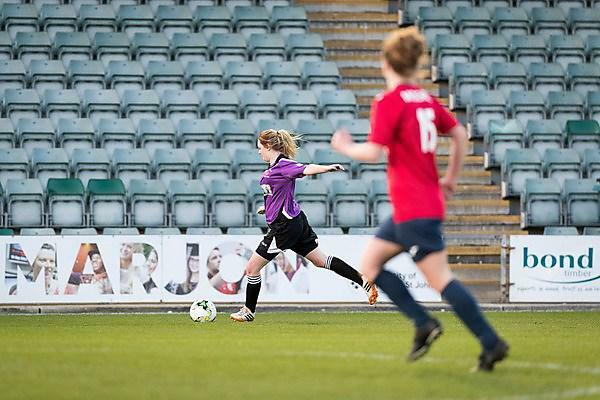 Join our UPSU ladies team to access coaching from Plymouth Argyle’s Community Trust. Play at Home Park in Plymouth’s biggest student sporting competition of the year, Varsity, where the University of Plymouth takes on the University of St Mark & St John. Find out about opportunities to play sport. "Through the Argyle Community Trust the ladies team are pleased to be receiving coaching support again this season – this is a great opportunity to enhance performance and develop women’s football through the club." Nadine Jeffery, Sports Development Manager at UPSU. Enhance your employability skills through sport at Plymouth Argyle FC. Volunteer in the multi-award-winning Family Zone For All, helping children develop skills through play. Supervise and encourage children as they learn to climb, play football and basketball, try out digital rowing and lots more. Or offer a helping hand to disabled fans who are supported by Argyle with allocated stands and a service called Soccer Sight offering headsets to enable fans to get more from the game. The Argyle Angels are a group of talented individuals formed by the UPSU Cheerleaders. The Angels take to the pitch during half time at Home Park, entertaining the crowd with their choreographed dance routines, but this isn't all they do! The Angels are ambassadors for Plymouth Argyle, showing people to their seats at matches and visiting the children's ward at Derriford hospital to deliver gifts and engage with patients. With the help of the Angels, Argyle are able to make a difference to peoples lives, engaging with the local community, helping charities through volunteering and have helped individuals such as the Angels to develop employability skills. Jonathan Rhodes is a chartered psychologist who, alongside studying for his PhD at the University of Plymouth, works closely with our sporting partnerships and Sporting Excellence Scholars. Giving regular 1-2-1 and group psychology sessions to athletes within our Sporting Partnerships and our Sporting Excellence Scholars has allowed individuals to reach their goals as elite athletes. Jonathan has also used his knowledge of sport psychology to help Sarah Piercy to break a world record with the Project Nevada. Daniel Arey, BSc Mechanical Design & Manufacture, completes complex data analysis project for Plymouth Argyle. In July 2015 Charlotte was diagnosed with a benign brain tumour that has turned her life upside down. The Brain Tumour Research Centre of Excellence specialises in research into low-grade brain tumours in teenagers and adults and costs £2,740 a day to run. Charlotte wants to raise £19,180 for Brain Tumour Research, a whole weeks worth of funding. Charlotte, together with dedicated BTR volunteers and Santander, took to Plymouth Argyle Home Park stadium on 18th March 2017 to help raise funds and awareness from the Green Army. They raised a fantastic £1493 including match funding by Santander. In November 2016, James Greenacre from Plymouth Argyle placed a tile on the Wall of Hope at the John Bull Building after the club raised £2740 for Brain Tumour Research. Plymouth Argyle have supported Brain Tumour Research by raising funds through match day collections, through social media and engagement from their players and fans. Thanks to the money raised, Plymouth Brain Tumour Research Centre of Excellence are able to make a difference by improving the treatment and outcomes of brain tumours. On 19 March Plymouth’s professional football club supported the charity by having a bucket collection at their home game. Staff from Santander and players from the Devon Junior & Minor Football League collected £373, for which matched funding will be applied by Santander. Their fantastic support helped raise nearly £7,000 during March. This will ensure teams such as the University of Plymouth Brain Tumour Research Centre of Excellence can continue working towards a cure for brain tumours, the biggest cancer killer of people under 40. Read more about Wear a Hat Day 2016. Do you have a passion for sport and want to base your research project around Argyle? If you're a sociology student you might choose to investigate the profiles of supporters and gender in sport or work with Argyle to host charity fundraising events if you're studying events management. The club is very happy to offer help and support wherever they can. As part of their BSc (Hons) Business Management course, students have conducted a Summer Consultancy Project with Plymouth Argyle FC. Director of Sport David Rose, UPSU Sport Phillipa Williams and UPSU President Lowri Jones join Plymouth Argyle for a team photo. 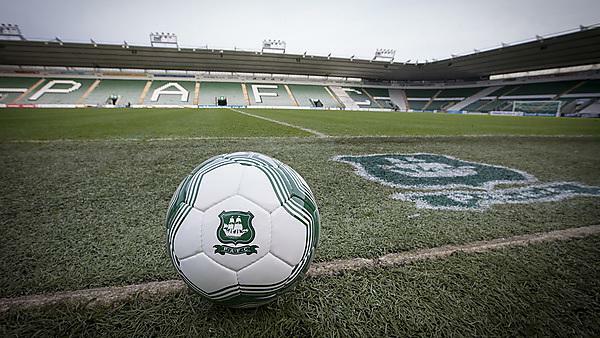 "It’s really impressive to see our partner, Plymouth Argyle, doing so well this season. At UPSU we benefit from the Argyle partnership, as they have previously provided us charity competition prizes and even reduced tickets for all students and staff. This is a great way for students to experience Plymouth and engage in the city too." - Philippa Williams, UPSU Vice President Sport 2016/17. Find out more about UPSU. Home Park once again hosted Plymouth Varsity 2017 for both men's and women's 1st team. As a student, playing at Home Park for Varsity is a unique and fantastic opportunity to showcase yourself in front of the rest of the University. I thoroughly enjoyed leading the team out, and to win the game on penalties after being 2-0 down showed immense character from the lads. The support from the University of Plymouth students was phenomenal, a very special day for all involved. Playing at Argyle was a great experience. The changing rooms had been recently refurbished so was really nice for us to relax before and after the game. The ladies fought hard and I am extremely proud of the efforts they gave on the pitch. We supported the men's team from the Player’s Lounge and it was great to see the Varsity cup come home! Rhiannon Smart, Ladies Football Captain. Learning from experience is the best way for budding radio presenters and our Students’ Union Radio team do just that at Argyle. Practise and develop your commentating skills with professionals from local radio stations. And record your own show at a real Argyle match. - Emma Platt, Editor-in-Chief of SU:Media. Want to make a difference within your local community and enhance your employability? Our student opportunities newsletter brings you a range of exciting opportunities directly from the University of Plymouth's Partners. You could gain valuable experiences and skills and connect yourself with potential employers. You could support public events such as 'Make and Take' in Drake's Place or even secure a local community audience for your group work or dissertation. Sign up today for more opportunities. If you've been inspired by our thriving partnerships and have some great ideas for us to work together, get in touch at partnerships@plymouth.ac.uk.